This Melvin Sudbeck floor plan includes, open living areas w/ 10' ceilings, custom alder cabinetry throughout, stainless steel appliances, sizeable kitchen island w/seating, walk-in pantry, spacious drop zone w/hooks, bench & closet. Hardwood floors in front entry, kitchen, great room, drop zone, & sun room. 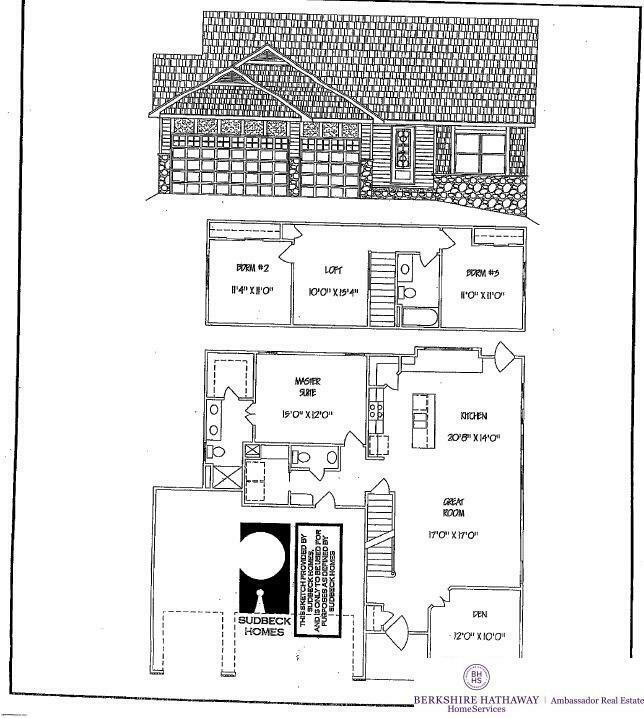 Built-in desk by master foyer, HUGE walk-in closet, beautiful walk-in master shower. Rear deck with steps to concrete patio below. Lower property taxes than Douglas & Sarpy County!